Six DIY Halloween costumes for those living on a budget! 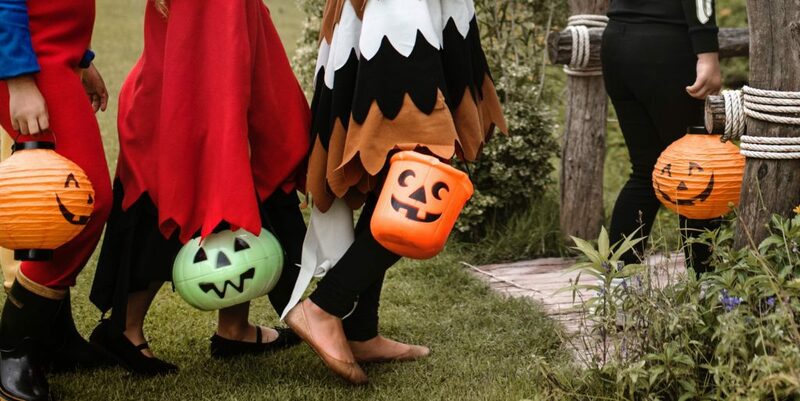 It’s that time of year again – get ready to see ghosts, goblins, cowboys and pirates roam the streets and take over your neighbourhood in a search for the best candy, or perhaps a tasty beer for the older crowd. Whether you’re thinking up a costume for a 5-year-old or a 25-year-old, Halloween can be expensive if you’re looking to go all-out (and why shouldn’t you?!). Try making your costume this year, these DIYs look amazing and they won’t break the bank. For all you girls out there, this costume can be pretty cute. Find a cheap green dress, a plain headband and voila – you’re almost there. Using white yard, weave small pieces into the dress fabric so the ends hang out, looking like cactus thorns or prickles. Use coloured yard to make small cactus flowers, sewing them onto your shoulders or sticking them on a headband. Guys, grab a green t-shirt and follow the same steps – flowers optional! All you need: cookies, smart attire – whether that’s glasses, books and backpack, graduation outfit, etc. Everyone loves a good pun-inspired costume, so why not make it delicious as well? Wear your ‘smart clothing’ and then attach cookies to the outside using glue, safety pins, you name it. Find plastic cookies at any dollar store or toy shop, or perhaps you make real cookies and share with your friends throughout the night. If you’re looking for a more sanitary option, consider buying individually wrapped Dad’s Cookies and fastening these to your ‘smart’ ware. A timeless costume loved by all ages. The Lego block may perhaps be the easiest, cheapest costume around. Save a box from a past purchase, cut 4-6 holes in it, fasten plastic cups into the holes to act as Lego connectors and choose the colour to paint your block. Easy peasy! If you really want to go all out, wear a shirt and pants of the same colour to unify the look. 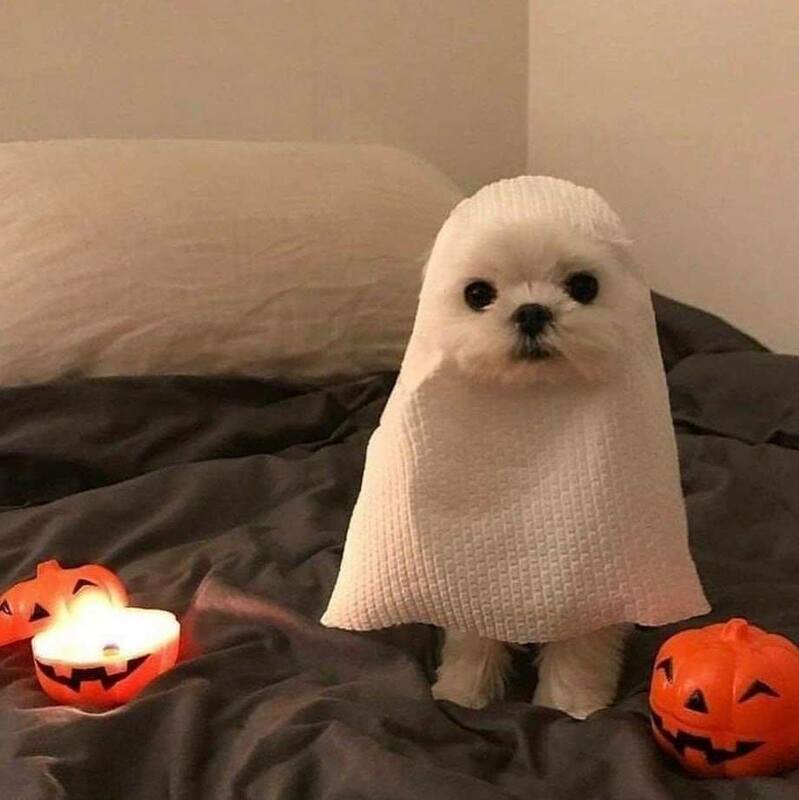 Little effort, big costume? A bunch of grapes it is! Choose your bunch’s colour, whether you want to be red grapes, green grapes or multi-coloured grapes. Blow up the balloons, safety pin them onto the shirt and there you have it. Easy, fun and affordable; however, we hope you weren’t planning to slow dance, drive a car or sit down anywhere really. All you need: a white and black striped shirt, black pants, black toque, black face paint, black gloves, money bag. Most of these items can probably be found in your closet already, so add the missing items and throw it all together. The bag can be made out of anything, but for the easiest solution: use a white plastic grocery bag and draw a large dollar sign on it with Sharpie for your loot bag. Optional: toy axe or saw. Yes, a second use for that plaid shirt you bought for Stampede once upon a time. Pair it with suspenders, a pipe, a scruffy beard (real or fake) – you name it – for the full lumberjack look. Use your imagination on this one – what would a man who lives in a cabin in the woods wear on a day-to-day basis? Six DIY Halloween costumes for those living on a budget – which one’s your favourite?? Make sure to tag us on Instagram if you end up choosing one of our ideas. Have a fun and safe Halloween Calgary!